Blood pressure, sometimes referred to as arterial blood pressure, is the pressure exerted by circulating blood upon the walls of blood vessels, and is one of the principal vital signs. 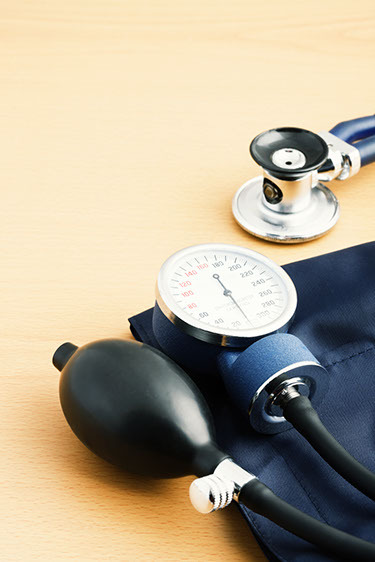 Ensure your blood pressure is checked during your routine physician visits. If you have any concerns regarding your blood pressure, discuss purchasing a digital blood pressure machine with your healthcare provider. Congestive Heart Failure (CHF) does not mean the heart has stopped working, it means the pumping power is weaker than normal. With CHF,the blood moves through the heart and body at a slower rate. This result’s in the heart not pumping enough oxygen and nutrients to meet the body’s needs. A heart attack, or myocardial infarction (MI), is permanent damage to the heart muscle. “Myo” means muscle, cordial refers to the heart and “infarction” means death of tissue due to lack of blood supply. The cause of a heart attack is not always known. A stroke, sometimes referred to as a cerebrovascular accident (CVA), is the loss of brain function due to a disturbance in the blood supply to the brain. 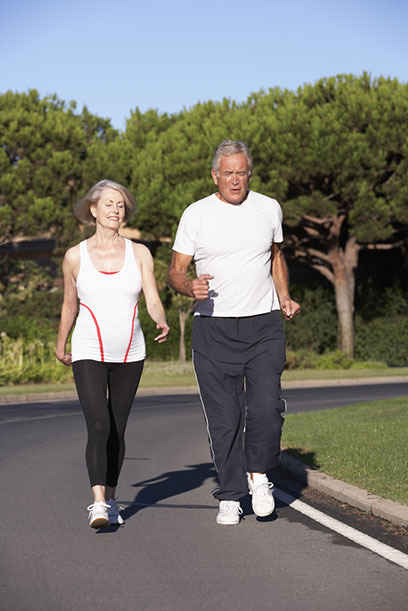 Transient ischaemic attacks (TIA) or strokes can occur if blood flow to the brain is disrupted. 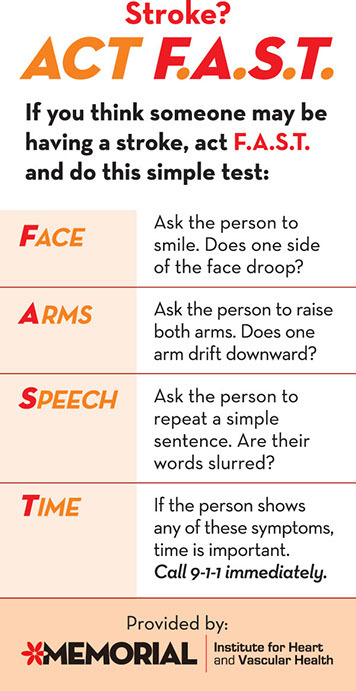 Sometimes symptoms of stroke develop gradually. But if you are having stroke, you are more likely to have one or more sudden warning signs. Seek emergency medical advice (calling 911) immediately, as immediate medical attention could reduce effects of the stroke.